Vanessa HeinsOh hey so the weekend is upon us and whatever you’ve got planned, you could do worse than to take an hour and listen to Us Alone, the new album from beloved Toronto singer-songwriter Hayden. What’s that, you say? The record isn’t out until Tuesday – February 5 – and by then we’re back into the work week and you can’t find an hour to curl up in a little ball in the corner and weep uncontrollably let alone listen to a charmingly languid collection of folk-pop? Well it’s a good thing that CBC Music has an advance stream of the new record as well as a Q&A with the artist. So grab a coffee, read that, and have a listen. And if you’re finished reading that before it’s done – which I would hope is the case – there’s another interview at The Victoria Times-Colonist. Hayden has three intimate local shows coming up later this month – February 20, 21, and 22 at the Dakota, Cameron House, and Rivoli respectively – but those are as sold out as you can imagine. 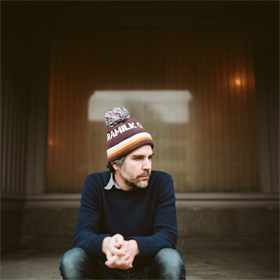 Tickets are still available for relatively nearby shows in Guelph and Hamilton, or you can wait until June 8 where he performs as part of the Arts & Crafts Field Trip festival at Fort York. NOW interviews Purity Ring ahead of their show at The Phoenix tonight. PhillyBurbs and The Dallas Observer also have features. Wavelength talks to Sarah Neufeld about her solo work, which she brings to The Great Hall on February 16 as part of their anniversary series of shows. Southern Souls has posted a video session with Two Hours Traffic, who release their new record Foolish Blood on February 19. They play Lee’s Palace on March 21. Consequence Of Sound has premiered the first video from Thumbtacks & Glue, due out February 26. There’s also a video session recorded at Iceland Airwaves last year at The Line Of Best Fit and Mark Hamilton talks to The Calgary Herald about a project he’s working on with some Icelandic musicians. The Victoria Times-Colonist has an interview with Rachel Zeffira and NPR a live-in-studio version of her My Bloody Valentine cover. Her original reinterpretation and nine other gorgeous songs can be found on The Deserters, due out domestically on March 12. Daytrotter has posted a session with Stars, who are playing two nights at the Danforth Music Hall on March 20 and 21. Born Ruffians have prepped their third album Birthmarks for an April 16 release; you can stream a new single from it below. Gorilla Vs Bear has premiered the first track from Young Galaxy’s new album Ultramarine, out April 23, and it should put to rest any fears that Shapeshifting was a lucky accident. Spin talks to Colin Stetson about his new album, New History Warfare Vol. 3: To See More Light, which was just confirmed for an April 30 release. Pitchfork has details on the album as well as North American tour dates which include a May 19 date at The Great Hall in Toronto, tickets $13.50. A track from the album featuring Justin Vernon of Bon Iver on vocals is also available to download. Exclaim talks to Louise Burns about the status of her second solo record, tentatively entitled Louise Burns Presents the Midnight Mass and due out whenever it’s good and ready. Ottawa Magazine catches up with Rolf Klausner of The Acorn, whose new record Vieux Loup will be out later this year. You can hear one of the new songs by way of video session for Herd Mag. The Ontarion has words with Alaska B and Ruby Attwood of Yamantaka//Sonic Titan. Memoryhouse have made a video for an unreleased song as a sort of thank you to their fans.